The importance of treating mental illness cannot be stressed enough. 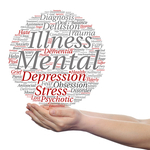 Untreated mental health disorders make people's lives unmanageable, affecting entire families. Yet, despite ways to screen for and treat mental health problems, like depression and bipolar disorder, too many Americans are not getting the help they need. Which, more times than not, leads to destructive behavior. In the field of addiction medicine, we know first-hand that people with untreated mental health disorders often resort to drugs and alcohol. A slippery slope to dependence and addiction—to be sure. Those who use mind-altering substances to mitigate their symptoms of mental illness are actually making their original problem worse. Their symptoms are exacerbated by drugs and alcohol. Self-medicating mental illness not only leads to addiction, it can cause suicidal ideations. Every year, thousands of Americans with undiagnosed or untreated mental illness make attempts on their own lives. In many cases, they succeed. To better understand the scope and scale of both mental illness in America, and how often people get help for it, scientific research is needed. But just knowing that people are being helped is only the first step to encouraging people to seek help. When they do ask for assistance, we need to make sure that adequate treatments are available. A new government report found that almost 10 million Americans are living with a serious mental health disorder, HealthDay reports. There are 9.8 million people reporting having had serious thoughts about taking their own life in the past year. What’s more, over a third of such people do not receive any help, which researcher Dr. Beth Han believes results from a lack of health insurance, not knowing where to get help and the stigma associated with serious mental illness. The findings were published in the Behavioral Health Barometer. "They are afraid that other people may find out," Han said. The report covered a broad spectrum of mental health problems, including addiction. The findings showed that 15.7 million people abuse alcohol and 7.7 million abuse illicit drugs in this country, according to the article. An estimated 12.5 million people have misused prescription painkillers. Which makes sense, considering the opioid addiction epidemic we face today. To be sure, lack of resources and health insurance can certainly impact one’s ability to get the help they desperately need. However, if people are scared to seek help for fear of social stigma, the consequences can be even more dire. When people feel like they either must continue to suffer from symptoms or be ostracized by their community, the former can seem like the better option. As one’s symptoms continue to go untreated, they get worse. If they are using drugs or alcohol to calm such symptoms, addiction often takes root. Now, they have a co-occurring mental health disorder to contend with. It is vital they every American does their part to show compassion for those living with mental illness. We will all be better for it. There are effective methods of treatment that are being severely underutilized, because of social stigma. When people have no other options, they will resort to methods that make them even more sick. It is vital that co-occurring disorders are treated simultaneously. If you or a loved one is abusing drugs and alcohol to treat symptoms of mental illness, please contact Hope by The Sea today. We can help.